When William III (1689-1702) and Mary II (1689-94) came to the throne, the sovereign's principal London residence was Whitehall Palace. For purposes of state and ceremony, it remained the official centre of the court during their reign, but neither the King nor the Queen enjoyed the thought of living there. In the summer of 1689 William and Mary purchased Nottingham House, a Jacobean mansion built about 1605, and they lived there untill their death. 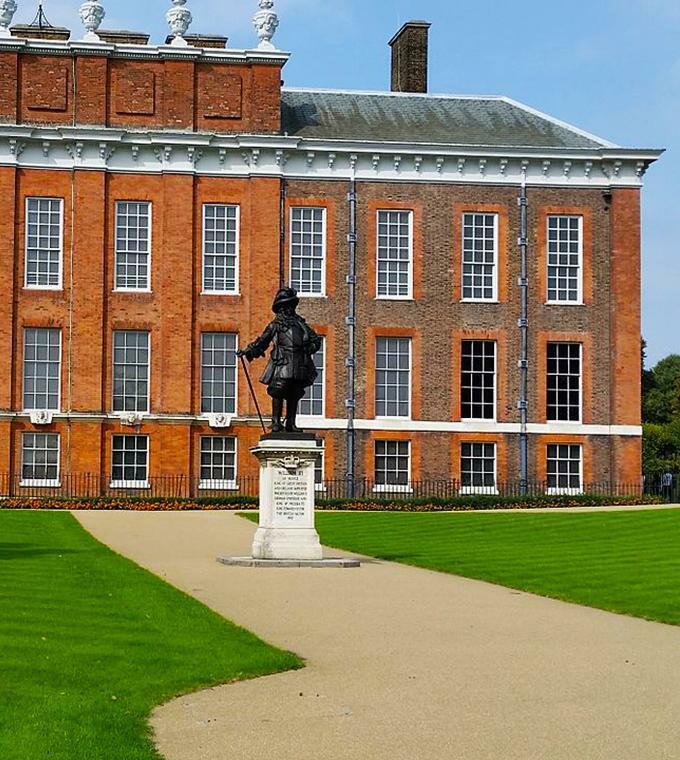 Today, Kensington continues its long history as a residence for members of the Royal Family. Princesses still live around Princesses’ Court. The best known resident in recent years was Diana, Princess of Wales (1961-97) who occupied apartments in the north-west part of the palace from 1981 to 1997. Although her private apartments are not open to the public, the palace displays a selection of her dresses in the Royal Ceremonial Dress Collection.